An eerily relevant film, when ‘The Siege,’ came out in 1998, we never would have thought how different the world would be just a few years later. 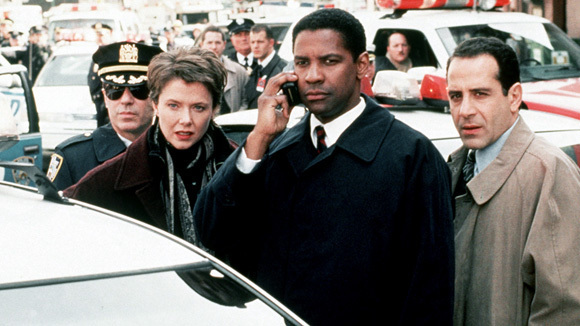 The film tells the story of Denzel Washington, an FBI Agent tasked with hunting down a terrorist cell operating in New York. ‘The Siege,’ poses the question, how would the United States react if the daily bombings so prevalent in the Middle East were to take place in a metropolis like New York? Martial law is imposed in Queens, and suspects are moved into internment camps. While I may have some reservations about the end of the film, the thriller, which stars the always great Denzel Washington is thrilling and fascinating at the same time. ‘The Siege,’ is available now on Netflix Instant Streaming.